For me Black Friday is a mixed bag. You of course can get some incredible deals however the deals that you typically get on Tablets, Laptops, and desktop PCS are lackluster at best. Be very cautious that you don’t let price dictate purchase because many times these Black Friday deals are lackluster PCS at best. 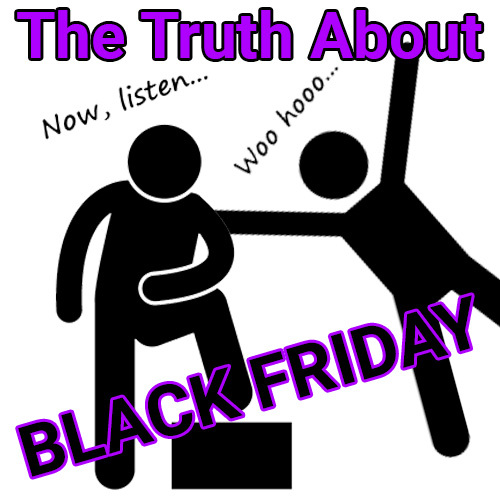 Here is a few things to keep an eye on when shopping this Black Friday. I never recommend Black Friday tablets on off brands. Every single off brand tablet is an underpowered brick that you are never going to be happy with I promise you. Stick to the good name brand tablets when hunting, iPads & Samsung’s are two notable top performers and are worthy of your money Brands like Panasonic, RCA and Polaroid are incredibly cheap and not worth your pennies. When it comes to computers (Laptop or Desktop) hunt for the statistics of the computer and less about brand. Any computer you buy nowadays should have a minimum of 4 gigabytes of memory (more is always better) also don’t be afraid to check out the processors anything that says “Atom Processor” on it is usually a good sign that it’s underpowered and really can’t perform many tasks other than surfing the internet and basic word processing. Intel’s I3 and i5 CPUs provide a pretty good bang for your buck! Another thing worthy of taking notice is the operating system, Black Friday is a Haven for the Google Chromebooks because of their low price they’re often times targeted by Black Friday Shoppers however it is sometimes unknown that a Chromebook is not a windows-based operating system so they will not use or run all the software that you may be expecting for it to run. However there is nothing wrong with a Chromebook! Google’s web based OS is great for people who are looking to search the net and take notes! But don’t expect to be playing the majority of the new games out there! For maximum compatibility hunt for windows operating systems, you will find they are compatible with lots more!